Medical billing and coding errors, incorrect, invalid, or omitted ICD and CPT codes are the most common cause of medical claims denials. The ICD-10 was introduced in the year 2015 and with it came 55,000 new medical codes. The coding complexities increased dramatically, and the number of medical claims denials shot up manifold. Given the complexities of the new coding system, mistakes are bound to happen. The average error rate of the coding processes varies from source to source, but irrespective of that, billing mistakes cost the organization a lot. It is important that an utmost care is taken while carrying out the medical coding processes, else it can affect your relationships with the patients. 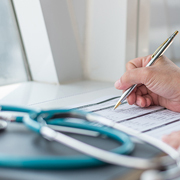 In this article, we have listed some of the most common medical billing and coding errors and ways to avoid them. Upcoding errors are the ones when the patients are billed for more complicated and expensive procedures than what they received. These errors occur when the billing department's executive makes an error while entering the treatment and diagnosis codes. This error occurs when the medical organization fails to provide the relevant information to the payers to support the claim which leads to claim denial. Employee's mistakes can cause these errors. It can also occur when the physicians fail to provide accurate diagnosis information. A simple slip of the finger can lead to a major data entry issue and can change the procedural codes. This error mainly occurs when the information is incorrectly documented from the encounter forms and other supporting documents. This involves separating the procedure into several different smaller procedures. Each of them is billed and coded separately when there exists a comprehensive code of the entire procedure. This is an unethical way of billing a patient and can call for an audit. Hence, it is important that your medical coders are aware of this error. Some of the ICD-9 codes need a fourth of fifth code to get to the highest specificity. If this is left incomplete, the claim will be rejected. If the coder is unsure about the highest level of specificity, then it is important that they check the codebook or browse the internet to get his facts right. Coders usually do not code the actual medical procedure without the description having the actual operative details. Otherwise, it can lead to misinterpretation of the operative reports and mistakes in the medical billing and coding process. The staff must be updated with the latest changes in the medical codes. The references used by coders must be regularly updated as and when there are changes in the coding system. Any outdated reference must be immediately replaced by the new ones, otherwise, it can lead to revenue loss. This is a human error wherein the same medical procedure is billed more than once. This can result in resubmitting a claim rather than sending in a follow-up claim. These claims are usually categorized into two groups - exact duplicate and suspect duplicate. How to Avoid Medical Coding Errors? By using billing systems which are capable of detecting common errors before the claims are submitted can help in reducing the number of errors dramatically. It is important to hire highly skilled personnel who are well-trained to handle any requests. The team must ensure that every submitted claim is new and not repeated to avoid duplicate billing. To avoid errors such as unbundling and upcoding errors, the medical coding team must follow a unified process that aligns the team on the adjudicated process. Outsource2india has been a pioneer in providing highly accurate medical billing and coding services in India and a host of other healthcare services to its global clientele. Our team comprises some of the most talented and skilled medical coders who are well-trained and know ways to avoid coding errors and reduce claims denials. We have been in the industry for over 20 years now and have the required experience to provide high-quality services within a quick time. All our processes are ISO standards and HIPAA compliant and you can be assured that we deliver only the best-quality services. If you are looking for a reliable, cost-effective, accurate, and efficient medical billing and coding service provider, then you have come to the right place. Get in touch with us today!